World Partnership Walk 2009 -when in India..? 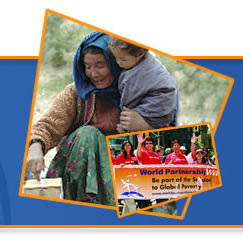 The World Partnership Walk is Canada's largest annual event dedicated to increasing awareness and raising funds to fight global poverty. Now in its 25th year, the Walk is organized by volunteers in nine cities across the country and attracts tens of thousands of Canadians united in a common effort to bring hope and renewal to some of the poorest communities in the world. Last year nearly 40,000 participants came together across Canada to raise $5.5 million in support of international development. Join us this year and "Walk the Walk!" After the Success of Mumbai Marathon,Hope Indian ismaili soon launch world partnership walk in india.